It’s been awhile since I wrote anything here on the blog. That’s because I became unexpectedly busy. Just today I finished an art commission job that required me to draw two people, caricature style. That’s on top of my regular schedule. 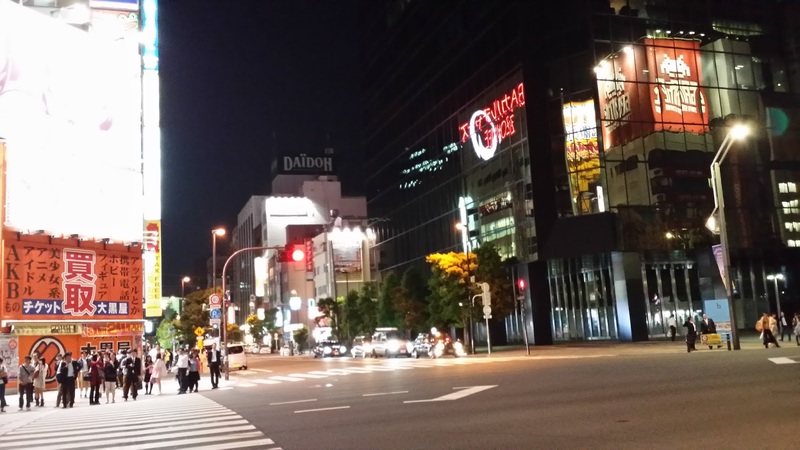 Now that that is out of the way, I’m back on our Tokyo adventure. 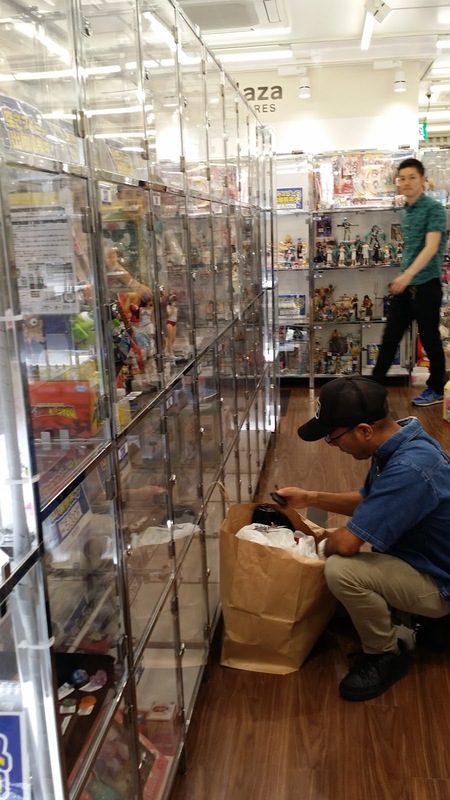 If you go back to the previous post, we explored Yodobashi Camera Akihabara since my brother was searching for Gundam kits to add to his collection and it definitely did not disappoint. 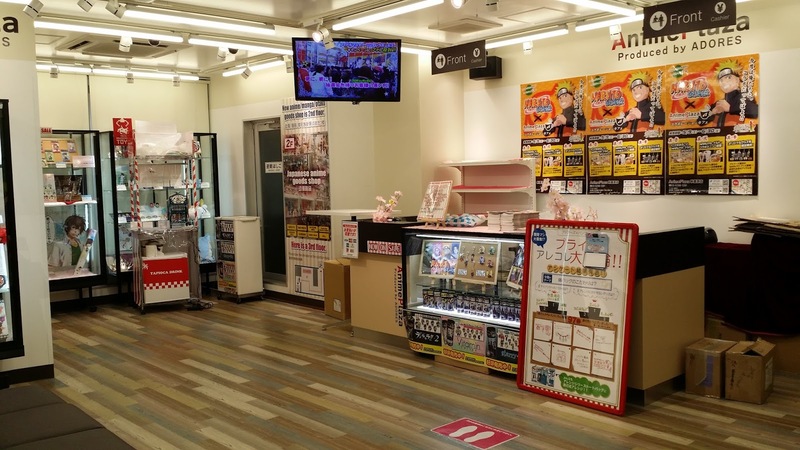 Yodobashi Camera is an entire building of everything electronic and toys you can buy, including DVDs, house appliances, gashapons (little collectible toys inside an egg you get through a slot machine), and of course, cameras. After we got enough of it, we happened to stumble upon Anime Plaza. 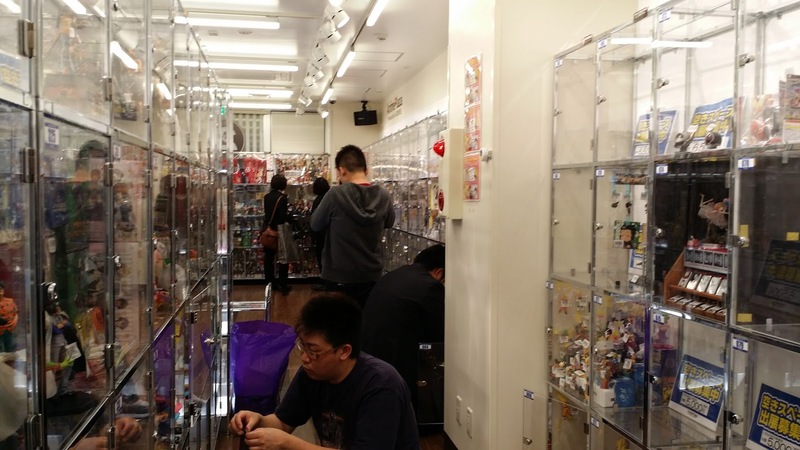 Opened on March 2015, Anime Plaza consists of four floors. It can be found at: 1 Chome-13-1 Sotokanda, Chiyoda-ku, Tōkyō-to and is near Akihabara Station. 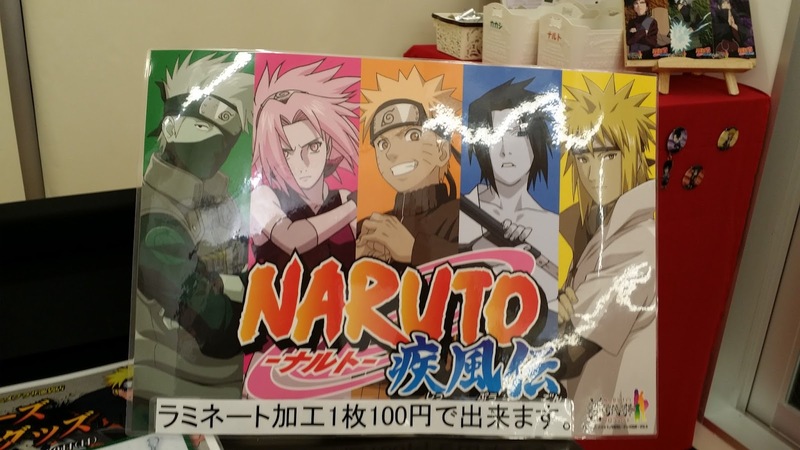 What caught our eyes when we first entered the building and saw the floor guide was that there was a Naruto Cafe on the fourth floor! 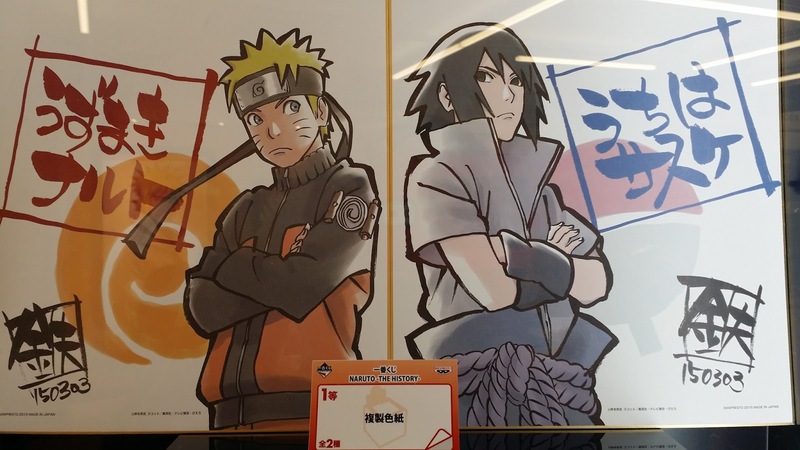 We wanted to try at least one anime-themed cafe experience so we jumped on the elevator into Naruto Cafe. First of all, there’s some bad news for all of you readers who wish to visit this cafe. 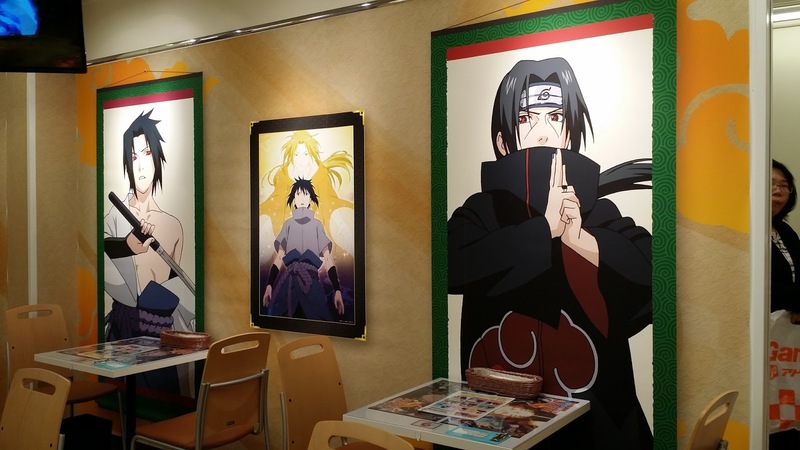 But hey, here’s some good news, Anime Plaza regularly collaborates with hottest anime around, so your fave anime might have a chance to get its own cafe. Yuri!!! On Ice recently had its turn in April-May 2017. You can check their website before coming, (although its page is in Japanese). 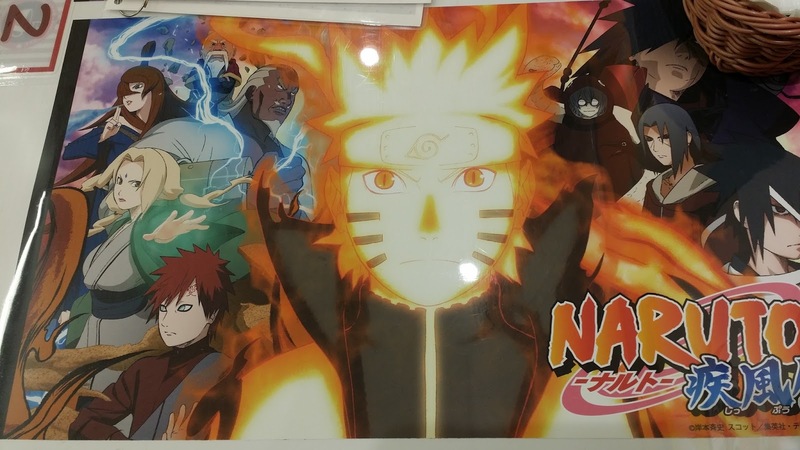 The walls are adorned with large displays of Naruto characters. Here are the Uchiha brothers. Sorry for the photo quality. The place had too many lights on so it was hard for my phone camera to take it all in hence it’s kind of dark and blurry. This usually happens when I take indoor photos at night. 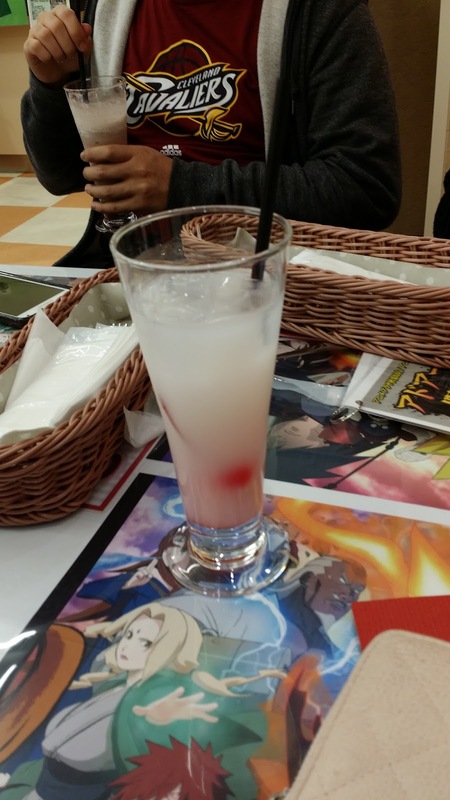 The most interesting thing about having unique-themed cafes is what drinks and dishes they come up with based on the series. Well, here’s the menu for drinks. The characters have a drink based on them (+ you get a free sticker too). There were also desserts available (not pictured). 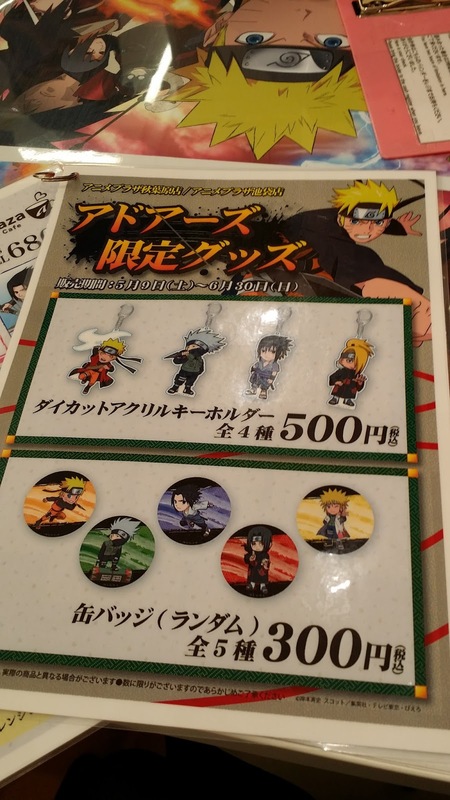 Of course it won’t be complete without official merchandise. 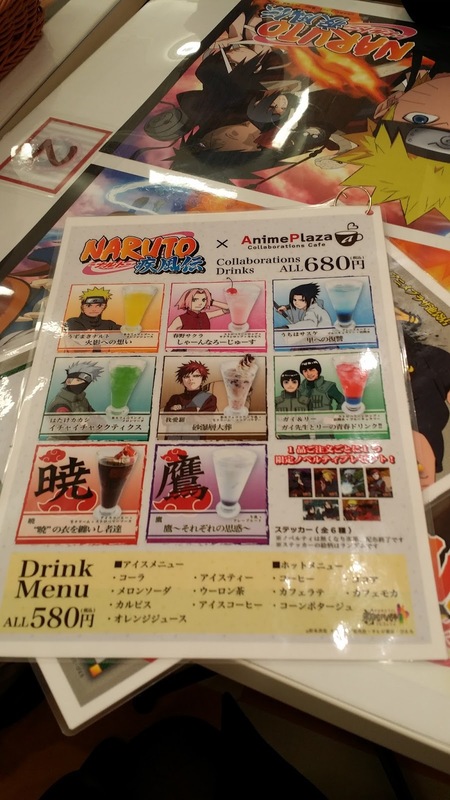 I ordered a Sakura-themed drink which, I’m guessing, is strawberry-flavoured because of the colour and taste (matches with Sakura’s hair color too), while my bro ordered Gaara, which is either chocolate or mocha to match with the Gaara’s sand abilities. 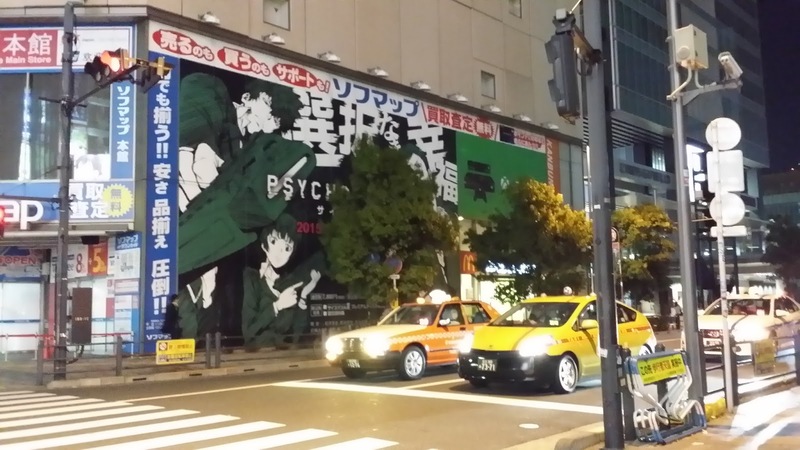 There were also several artworks on display from the anime series. 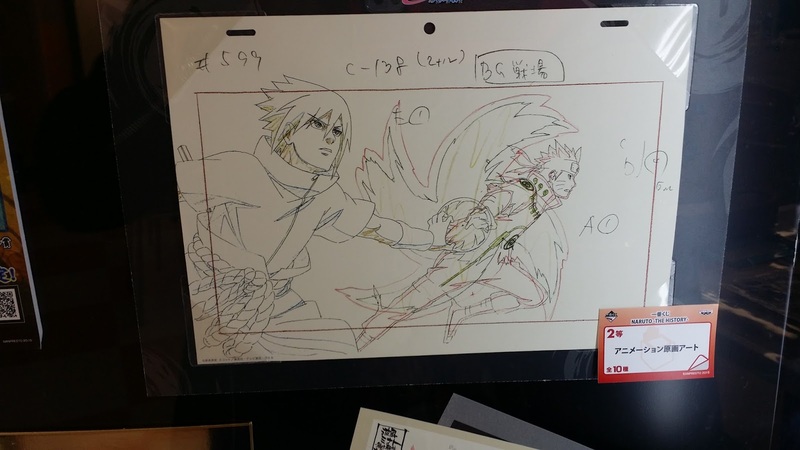 Personally, I found it interesting to look at behind the scene materials, especially that raw drawings. After the refreshments, we went to the second floor which has a rentable showroom for figurines. If you have a collection worth selling, this is the place to go to. You can rent a cubicle to display and sell them. 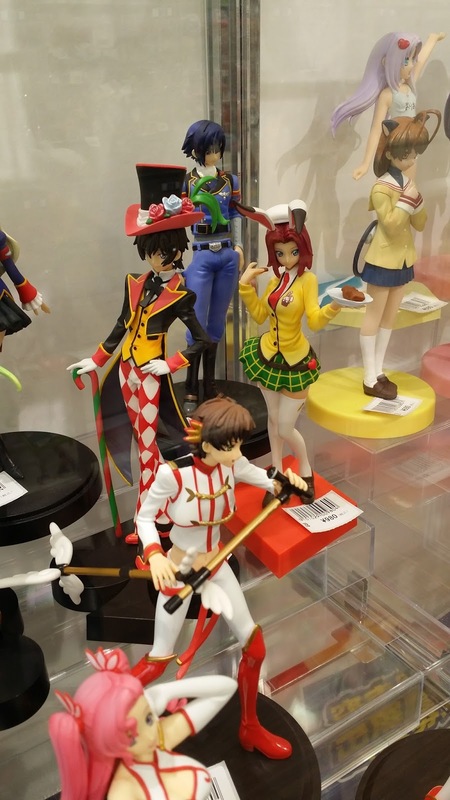 Pre-loved figurines are displayed everywhere. I was looking for the perfect souvenir to take home. I want this! The tall figurine at the center. 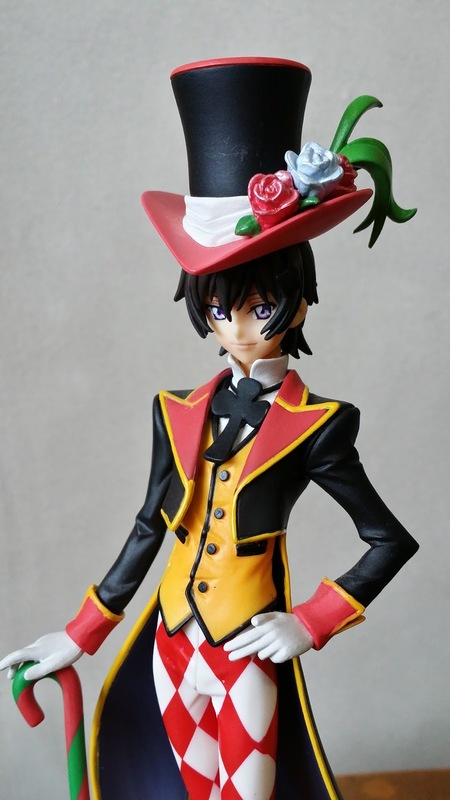 Lelouch Vi Brittannia of the popular anime series, Code Geass, in full costume and with a smirk on his face! 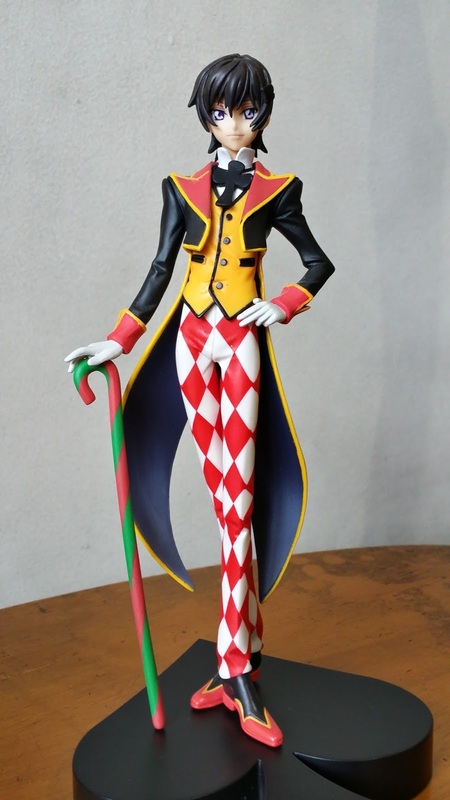 It’s a very detailed figurine of one of my favourite characters! But the price tag broke my heart a little (in case you were wondering, Japanese Yen is around the double of Philippine Peso, so this would’ve set me back by around Php14,400 or US$270). Um, no, thanks. 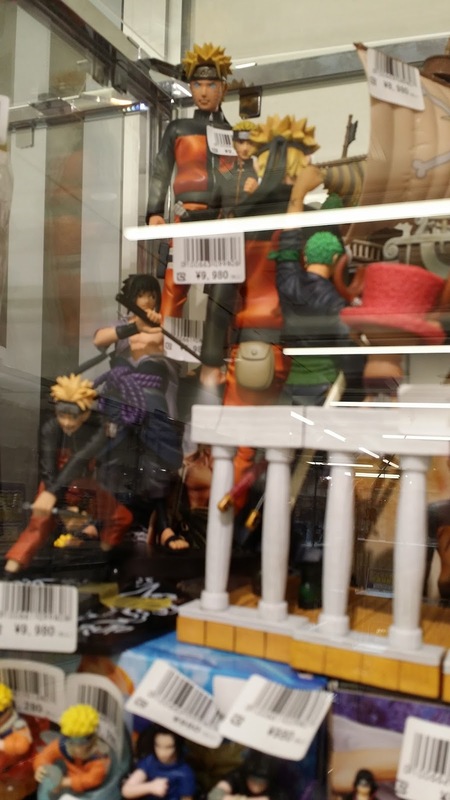 Other figurines available were the following. Can you guess which of them I took home? 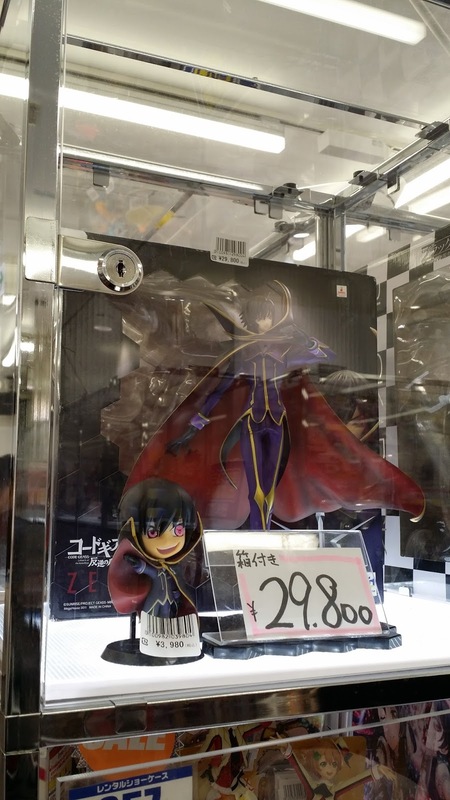 I took home Lelouch with the hat and candy cane for only 900 Yen (Around Php450)! Amazing! I doubt I would ever find such a deal back home. The two photos below are close-up shots taken when I unwrapped him from bubble wrap in the Philippines. With the details on his face and body, it’s a very high-quality one! ❤ The hat is detachable. Now, isn’t he just dandy? With this purchase, we finally called it quits for the day after we passed by Gundam Cafe and AKB48 cafe (which were already closed) and went on our way home. And that concludes our second day at Tokyo. For Day 1 (Arrival): click here. For Day 2 (Ueno Zoo and Park): click here. For Day 2 (Sensoji Temple): click here. For Day 2 (Tokyo Skytree): click here. For Day 2 (Yodobashi Camera Akihabara): click here. Faith Ong documents her travels, events, reviews, fangirl moments, and her journey through life. All photos © Faith Ong unless stated otherwise. Please do not use them without permission. Copyright © 2018 Faith Ong. All rights reserved.